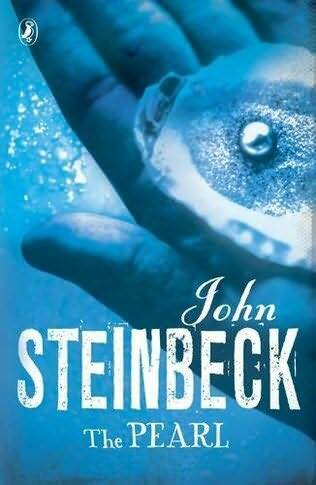 The Pearl By John Steinbeck Book Review! Inspired by his interest in the philosophy of Carl Jung, The Pearl (1947) is a stunningly written and thought-provoking novella by John Steinbeck. Pearl diver Kino and his wife Juana go to the local doctor for help when their son Coyotito is stung by a scorpion. Denied by the doctor through racism and snobbery, he is understandably angry and worried about his child’s life. While Kino and Juana worry for their son, Kino finds a huge pearl which seems to be the solution to their problems. They could use the pearl to save their son. Soon there is talk that this pearl is “the Pearl of the World”. It gains a prestigious reputation. Lots of interest is shown. So much so that Kino is attacked in their home and this prompts him to make the decision to get rid of the pearl. He tries to sell it in town. However it quickly appears that the system is corrupt. The buyers pretend to bid against each other but they are paid a salary by one man who they give the pearls to. After that he would resell them outside the village for a bigger profit. The buyers try to make Kino believe that the pearl is of little worth leaving Kino to decide to go to the capital in search of a better value. Juana now sees that the pearl is only bringing greed and misery. In response she decides it has to go and brings it in the late of the night to return it to the ocean. Kino sees her and attacks her leaving her on the beach. This shows the evil forces the pearl has brought out which Juana has foreseen. On his return home he is attacked by a mystery man and in the fight he stabs him killing his unknown attacker. Kino believes he has stolen the pearl but it turns out that Juana has it. On returning home they find that their hut has been set alight and their canoe destroyed. They hide out in Kino’s brother Juan Tomás and his wife’s hut the next day before the family of three leave for the capital with the pearl. On the trip, Kino sees some trackers that he thinks are following them. They find a cave to hide and to wait for the trackers to catch up so that Kino can kill the trackers to ensure safe passage to the capital. The trackers hear Coyotito crying and one of the trackers shoots in that direction. Although Kino kills the attackers, they soon realise that Coyotito has been shot in the head. In the morning, Kino and Juana go back home to La Paz with Coyotito’s dead body and Kino throws the pearl into the ocean. The story is a very sad tale of how greed impacts upon life and the vanity of that greed. The greed and jealousy of so many of the characters like the buyers, the doctor and the trackers is shown throughout. What began as a quest by Kino to save his son’s life ultimately leads ironically to his son’s death. The pearl has turned him into a murderer as well. It shows that wealth may not be the answer to problems but can often be the cause of many problems which beforehand did not exist. It shows the importance of love and family over wealth and power which is no more poignant than when Kino and Juana arrive back in La Paz with Coyotito’s lifeless body and when Kino returns the pearl of darkness to the depths of the ocean bed. The ending reminds us all, if we ever needed reminding, that our wealth in life is really those we love and without them life feels meaningless. But I do have a religion. After many years she and her mother swam on. A few hundred fish were present. She met a few thousand fish. And met another special friend. And that fish never wanted to swim away. My Opinion of The CBBUK 2016 Finalists & The CBBUK Final! With the spitting incidence where she spit in Bear’s drink and sandwich I didn’t like Aubrey. Otherwise she was good in the show and gave a lot to the season. Her relationship with her boyfriend Pauly D is also really cute because they are clearly very much in love. Ah Bear. I think he went too far with a lot of things but I don’t think at heart he’s cruel. I don’t think he should have won but he did give a lot to the show and he wasn’t the worse of them. I absolutely loved Frankie in it. I’m definitely a new fan of Frankie’s. He was entertaining, lovely and he gave so much to the season. His friendship with Ricky was also lovely. Frankie was my winner. Marnie was lovely in it and would have been my runner-up. We didn’t see as much of her personality I don’t think because of her relationship with Lewis but she came across brilliantly in any case. With her part in the chats about bisexuality with Christopher Biggins I didn’t like Renee. Otherwise she was good in the show like Aubrey and gave a lot to the show. Maybe Christopher was a bad influence on her and she became more herself after. My struggle with Ricky throughout the season was that he is a lovely guy but he didn’t give much to the show. There was some interesting chats he had on live feed but otherwise he didn’t feature much and didn’t participate in all the tasks. But he’s a lovely guy and I really like him and his friendship with Frankie was lovely to watch. His tribute to Frankie in one of the later shows was so heart-warming. 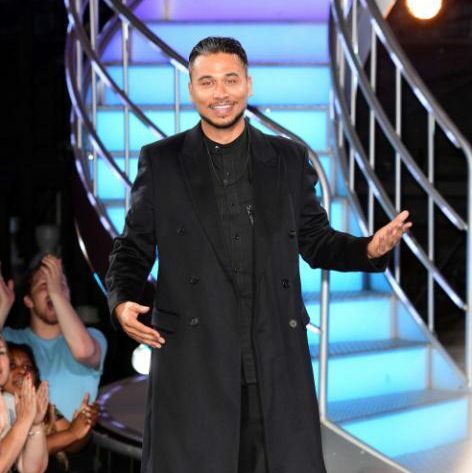 Bear, who was favourite to win going into the final, won the show ahead of Ricky Norwood. Third was the highest American Renee Graziano with Marnie Simpson coming fourth. Rounding off the final was fifth-placed Aubrey O’ Day and in sixth place Frankie Grande. It was a great achievement for all three American contestants to last to the final night.